The Castle of Cannes on the French Riviera in Provence, France is now the home of the Castre Museum, located in the Castre Tower. 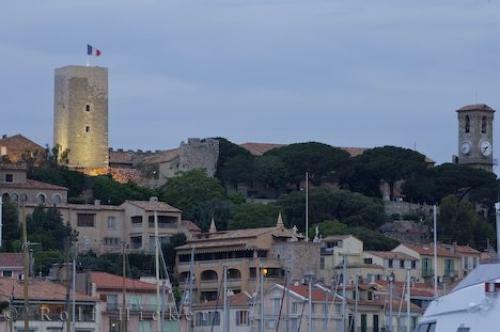 The Castle of Cannes is in the old section of Cannes, known as Le Suquet, on the French Riviera in Provence, France. The Castre Museum is located in the castle's Castre Tower and has displays from all over the world as well as Mediterranean objects d'art.Cannes Castle, Castre Tower and Castre Museum in the Old Town, Le Suquet, The Riviera, Cote d'Azur, Provence, France, Europe. Interested in more Castles? Please make sure to see our photo collection pictures of castles. Photo of the Castle of Cannes on the French Riviera in Provence, France, Europe.